New York Times bestseller J.A. 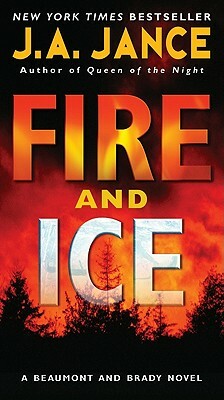 Jance reunites two of her most popular series characters—Cochise County Sheriff Joanna Brady and Seattle detective J.P. Beaumont—in Fire and Ice, as the separate investigations into grisly homicides in two different states shockingly intertwine. As Jance proved in her previous Beau/Brady pairing, Partner in Crime, when these two join forces, fireworks happen. Fire and Ice is not to be missed.